Dr. Muhammad Anwar received his post graduate education in Sociology at University of the Punjab, Lahore-Pakistan, and University of Western Ontario, London- Canada. He completed his Ph. D. at University of Toronto, Toronto-Canada. 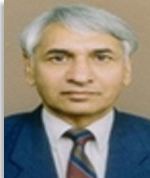 He has been Chairman and Professor of Sociology at University of the Punjab. He has been associated with a number of research activities in the areas of population, education, and development.